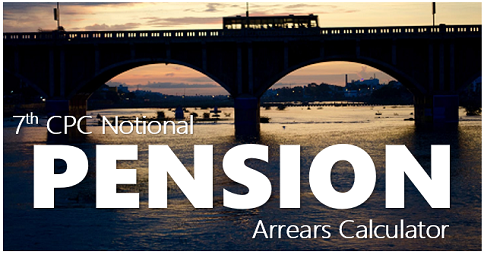 A bunch of 58 detailed pension fitment tables has been issued by the Department of Pension and Pensioners Welfare for all pre-2016 pensioners and family pensioners to find out their Revised Pension and Family Pension from 1.1.2016. 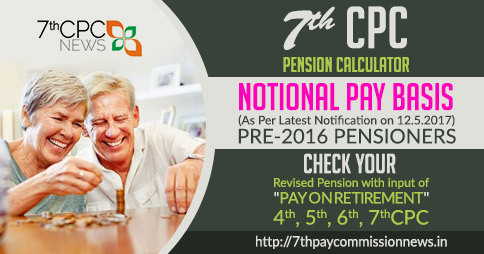 To be exact what will be my revised pension after revision in GP 4200 to GP 4600 in Matrix level 7 from 1-1-2016? Kindly enlighten me. A word in reply will be more helpful. All your increments are covered in your last basic pay on the basis of your last basic pay it was calculated. 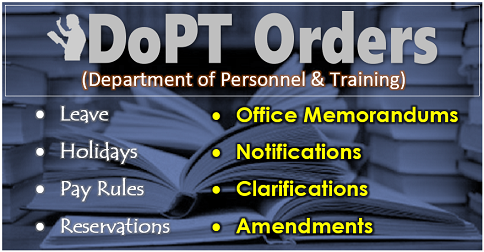 Due to the revised GP 4600 of your pay so far they have made the tables for latest of your pay, so that it will be prepared by individuals of their office. Because it is having change from 1/1/2006 it involves individual separately every stages of their increments/due to promotions if any/D.A .changes in every six months for at least 12 years from 2006 to 2015 and Matrix Level 7 from 2016 and upto settlements i.e. 4/2019 as on.. So you are requested to contact your ex-employer/PAO, they only calculated from your records from their office of yours. Regard Sir. Thank for your reply on 31-3-2019 for my comments on 28th and30th March 2019. But my point whether number of increments drawn in the retiring scale will be considered while revising pension or not? Actually what will be my pension after revision? I shall be grateful if I am enlightened on this point. Further informing that I think you have retired as superannuation at your age was 58 years but not mentioned in which month now your age might have crossed 80 years from that month you are eligible additional pension 20% of ₹ 6,220/- plus total ₹ 37,320/-. And due to revised GP ₹ 4600/- from 1/1/2006 so you may contact your ex-employer/PAO for the arrears. My last pay drawn was ₹10100 in the 5th CPC . My ten months average pay taken for fixing pension was more then the last pay drawn. 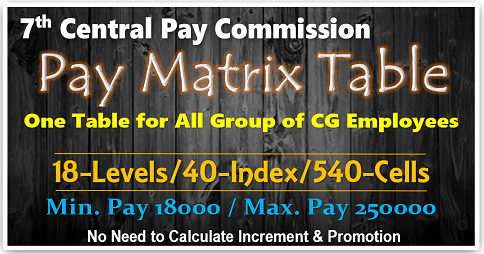 This is to inform you that as per concordance table your pension from 1/1/2016 is ₹ 30,200/- first it should be revised in GP 4200 to 4600/- in MATRIX LEVEL 7 from 1/1/2016 if not received contact your ex-employer/PAO. If 20 increments you got means your last basic pay was ₹ 10500/- as your last basic pay your Pension from ₹ 31,100/- now, but due to revised GP 4600 you will get more Pension with arrears from 1/1/2006 so you contact your ex-employer/PAO. Kindly let me know the pension I am entitled to as of now or as on 1.1.2016. Neither PCDA nor AFRO replied to my request. Also clarify whether MSP is to be added to the Basic Pension. I have not received reply for my comments on revision of pension for pre 2006retirees. Kindly enlighten me please. We have not received any comments from you. Pl. once again write your comment in the respective post comment box. We will try to answer. 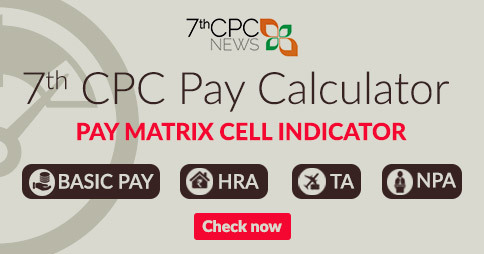 Kindly mention the last basis pay of idndival with scale of pay of the pre-2006 retires in any CPC’ s pay details, we will solve your comments with the example of this site calculators.Your comments is a general question for this the minimum pension & family pension is from the. 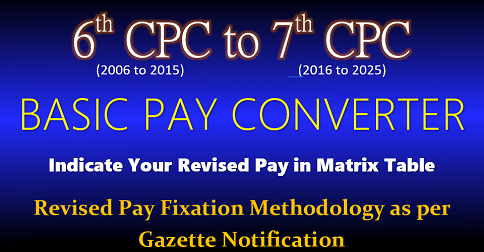 7th CPC not less than ₹ 9,000/- plus applicable dearness relief from time to time, now from 1/1/2019 as 12%. Any other comments require please post at any required topics or click “upgated recent comments/weekly comments.”. 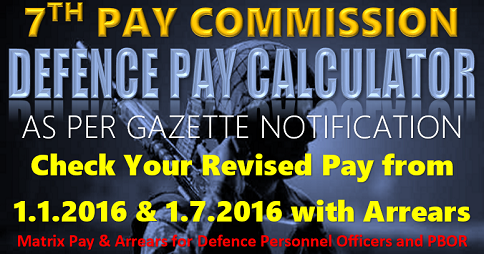 As per your last pay,revised basic Pension from 1/1/2016 is ₹ 34,850/-.plus D.R. as applicable rates from time to time. FZR Divn I retired in 1996 as CRS. As per your last basic pay mentioned above (including GP) your pension should be 19300 x 2.57 = 49601 it will be fixed at Rs.50500 50% of that amount your revised basic pension from 1/1/2016 is Rs.25,250/- 0nly. plus D.R. applicable rates at time to time.Check up your commutation recovery or if any recovery of Income tax. If it not as above, contact your ex-employer/PAO/BANK. If the date changes It, is difficult to see the old comments, so that in the “recent comments” in bottom show separate columns as old & new comments. Then only previous dates comments also to see all. Thanks. This is for t site is ADMINISTRATOR,, so that all can see all comments in your home page. Thanks.